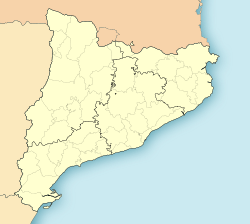 Fígols i Alinyà is a municipality in the comarca o the Alt Urgell in Catalonie, Spain. It is situatit on the left bank o the Segre river atween Coll de Nargó an Organyà, juist abuin the Oliana reservoir. The municipality wis shapit in 1972 bi the merger o the municipalities o Fígols d'Organyà an Alinyà: the ajuntament (toun haw) is in Fígols. A local road links the municipality wi Organyà. Population figurs frae afore 1972 are the sum o the populations o Fígols d'Organyà an o Alinyà.